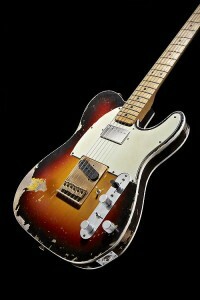 Andy Summers was just out of college in Southern California in the early 1970s when one of his guitar students offered to sell him a beat-up 1961 Fender Telecaster® that had obviously been modified by a previous owner. When I start to play it, something stirs within me … it shakes me … I find that I can’t stop playing it; this guitar sparks something in me and I have to have it. Summers bought the guitar for $200, and you and the whole world know the rest. Back in London a few years later, he joined a noisy so-called punk outfit called the Police that rose to become the biggest band in the world, thanks in no small part to the deftly innovative and influential sounds summers conjured from that beat-up Telecaster. Now, in 2007, Fender couldn’t be more proud and excited to unveil a very special 250-instrument Limited Edition run of the Fender Custom Shop Andy Summers Tribute Telecaster as part of the Fender Custom Shop’s legendary Tribute Series. It’s a note-perfect replica of the 1961 Tele® that Summers used to help propel the Police to untold heights of worldwide pop superstardom. • Ferocious humbucking neck pickup. • Bridge pickup mounted in the body rather than in the broken brass (not chrome) bridge plate. • Control plate-mounted mini-toggle phase switch. • Body-mounted preamp on/off mini-toggle switch (the original preamp “died,” Galuszka said; the Custom Shop has recreated the Police-era preamp). • Rear-mounted overdrive unit controlled by a third knob below the two traditional Telecaster volume and tone controls. • “Soft” brass bridge pieces. Pick it up, and it’ll take you back. The unforgettable slashing staccato opening chords of “Roxanne” (back pickup, no distortion); the off-the-wall solo in “So Lonely” (out-of-phase position, plus overdrive), the space jam of “The Bed’s Too Big Without You” (front pickup plus Echoplex), and so much more. So much so, in fact, that Summers played number one of the 250 replicas when the Police once again electrified the music world by reuniting on Feb. 11, 2007 to open the 49th annual Grammy Awards ceremony in Los Angeles. Even more exciting, Summers will play the replica during the momentous 2007 30th anniversary worldwide Police reunion tour, one of the most hoped-for and eagerly awaited events in pop music history. It promises to be a thrilling musical event featuring one of rock’s most innovative guitarists playing a spot-on replica of one rock’s most distinctive guitars. 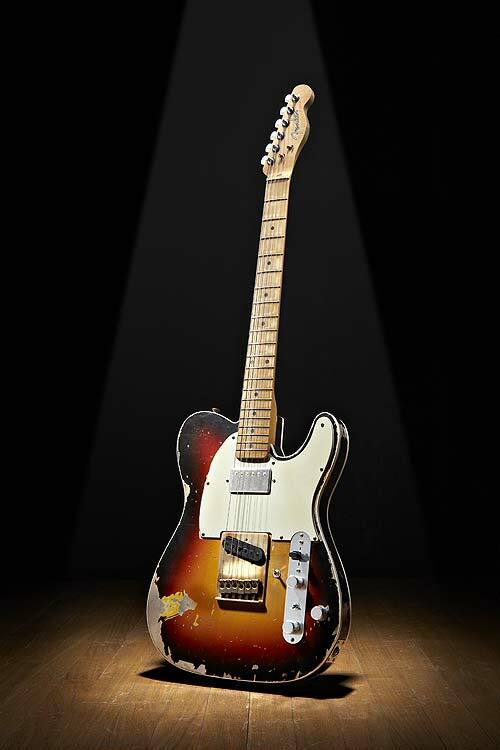 The Fender Custom Shop Andy Summers Tribute Telecaster® guitar will begin shipping to Fender Custom Division Showcase Dealers throughout the world in the third quarter of 2007. All 250 pieces are already sold out.